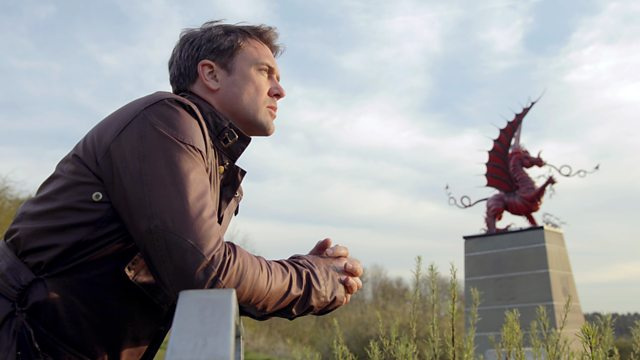 In this programme, the poet and author Owen Sheers traces the story of In Parenthesis, from an English parade ground to the carnage of the Somme offensive. Through readings of key passages, insights from poets such as Simon Armitage, and interviews with David Jones experts, he pieces together the similarities between the poem and David Jones’s own war. Two programmes presented by Owen about the art and the literature of the sea, aired on BBC 4. Owen Sheers documents Douglas’s extraordinary talents and combat experiences as a tank commander, from the epic battles of the Western Desert to his death in Normandy three days after D-Day in this BBC4 programme. Dylan Thomas, arguably Wales’s most famous poet, comes under scrutiny on Great Lives. A man famous both for his linguistic exuberance and his chaotic, alcohol-fuelled private life, Dylan Thomas is proposed by another Welsh poet in a specially recorded programme at Bristol’s More Than Words Listening Festival. 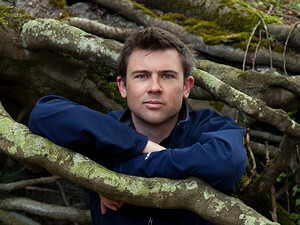 Owen Sheers is one of Britain’s brightest young writers and the author of Resistance, and he is keen to bust some myths about his fellow Welshman’s reputation. 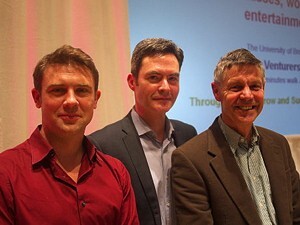 Joining him on stage is presenter Matthew Parris along with Damian Walford-Davies of Aberystwyth University. The programme includes archive recordings of Dylan Thomas’s famous voice, and also Richard Burton reading the opening of Under Milk Wood. The plans to begin culling badgers in an area of Wales have divided the rural community. In a special programme, Welsh poet and author Owen Sheers talks to people in Pembrokeshire about the tensions that are running high among neighbouring landowners, some of whom support the decision to cull badgers within a trial zone to try and eradicate TB in cattle. Poet Owen Sheers travelled to one of the wildest corners of the country – to discover the brilliant, tragic tale of Britain’s lost school of Post-Impressionism. A century ago, Britain’s most brilliant – and infamous – artistic celebrity fled the debauchery of London’s bohemia to find a new purity – in one of the nation’s most remote wildernesses. He had been tempted there by a unique kindred spirit – a fellow painter and bohemian wildchild – whose rich imagination and relentless lust for life was spurred by knowledge that he had just months to live. The celebrity was Augustus John, doyen of the Cafe Royal and celebrity portraitist of London’s top literary figures and socialites. His friend: James Dickson Innes – virtually forgotten since his tragic death from tuberculosis aged just 27 – yet described by one critic as ‘indispensable’ to British landscape art. Their Eden was the Arenig Valley in North Wales – a sliver of craggy, swirling peaks and haunting, silent plateaux east of Snowdonia, between Bala and Ffestiniog. There, buffeted by the wind and blinded by the rain, they painted feverish, delirious landscapes together in the open air – a unique blaze of creativity amidst the desolate countryside, described as Britain’s only true flame of Post-Impressionism. Yet after barely eighteen months, their fire was extinguished – as the spectre of war, illness and death abruptly drew a curtain upon their work. And whilst John was to live on for nearly half a century, his reputation – and infamy – undiminished, Innes was to die barely a year later – his work unappreciated and unloved – in a Kent hospice. After Arenig, neither man was to paint landscapes ever again. 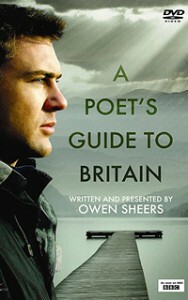 Poet Owen Sheers grew up amongst the Black Mountains of South Wales, from which he drew inspiration for his collection “Skirrid Hill”. In Delirious Wilderness, he told the story of this unique, fleeting moment in British art history – where he encountered artists, writers and art historians, as he travelled to Arenig – as remote as it was a century ago – to try to distil what John and Innes were searching for in this untamed landscape. The programme featured contributions from the famed travel writer Jan Morris – herself haunted by the Arenig Valley, which she described as “hallucinogenic…like entering a dream” – as well as Augustus John’s biographer Michael Holroyd, and the contemporary Welsh landscape artist Iwan Gwyn Parry. Broadcast on 30th March 2010. Cartagena is a Colombian city reborn – rejuvenated after years of violent civil conflict and cocaine trafficking by its own magnificent literary heritage. Tourists have returned to the sultry shores, narrow cobbled streets and magnificent walled ramparts of this Caribbean colonial city, a place enshrined in the work of perhaps Latin America’s greatest living author, Gabriel Garcia Marquez. Poet and novelist Owen Sheers first visited Cartagena six years ago, for the inaugural Hay Festival Cartagena – a South American outpost of one of the UK’s most eminent literature festivals. Now, the famous trundle of carts bearing tropical fruit across the old city’s hot cobbles has been joined by the luggage of curious literary tourists, hoping to catch a glimpse of giants of the global and Latin American book world – not to mention feast on the sounds, sights, characters and locations that inspired Marquez’s greatest works. But Cartagena is also a city divided – split between the haves of the gilded old town and glitzy outer suburbs and the poor have-nots of its teeming barrios. Have the fruits of this literary phenomenon really benefitted the poor Colombians of the city’s outskirts, or is it merely a diversion for its new, wealthy middle classes? And how much can a country be redeemed by its own literary heritage, when many have little access to books? Featured contributions from Germaine Greer, as well as Colombian novelist Jorge Franco and Festival Director Peter Florence – as well as music from Cuba’s Buena Vista Social Club – Owen Sheers asked how much a thriving literary heritage can be transformed to practically change a society for the better. He spoke to students, charity bosses and authors and visited the barrios – as well as the haunts of the city’s literati – where he discovered the successes and the limitations of Cartagena’s literary renaissance. Broadcast on 15th May 2011.